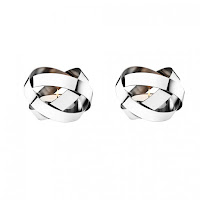 Fjorn Scandinavian: Fall Nights, Bright Lights! As the autumn light fades earlier and earlier, it’s time to bring warmth to your living spaces with functional and beautiful lanterns. Lantern light instantly brings a warm glow to your living room or patio. 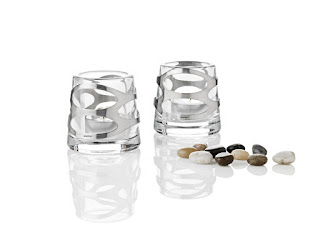 Fjorn Scandinavian has great designs from Iittala, Skagerak, Stelton, Georg Jensen and more. For your inside spaces, the Stelton Embrace Candle Lamps will cast a golden light across your table to keep you cozy on these autumn nights. The lamps reflect light beautifully, sparkling off the inside of the stainless steel rim, and the elegant pattern of the metal create gently flickering patterns of shadow. 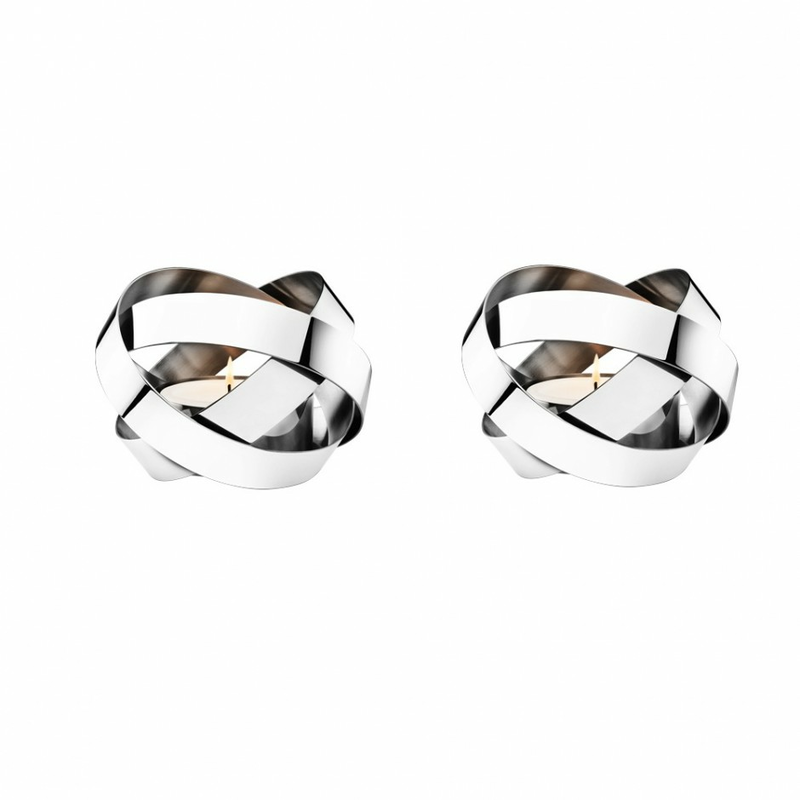 The Georg Jensen Ribbons Tealight Lamps will compliment your existing table well; a clean yet strikingly designed braid of polished metal holds a gently burning votive. 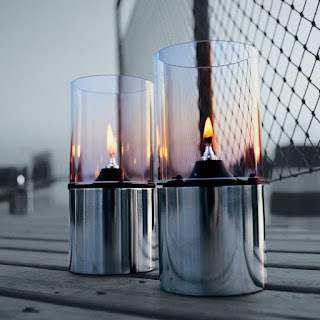 For something softer, this ceramic votive from Finnish designer Nathalie Lahdenmäki and Iittala echoes the form and function of traditional ice lanterns that adorn Scandinavian homes. 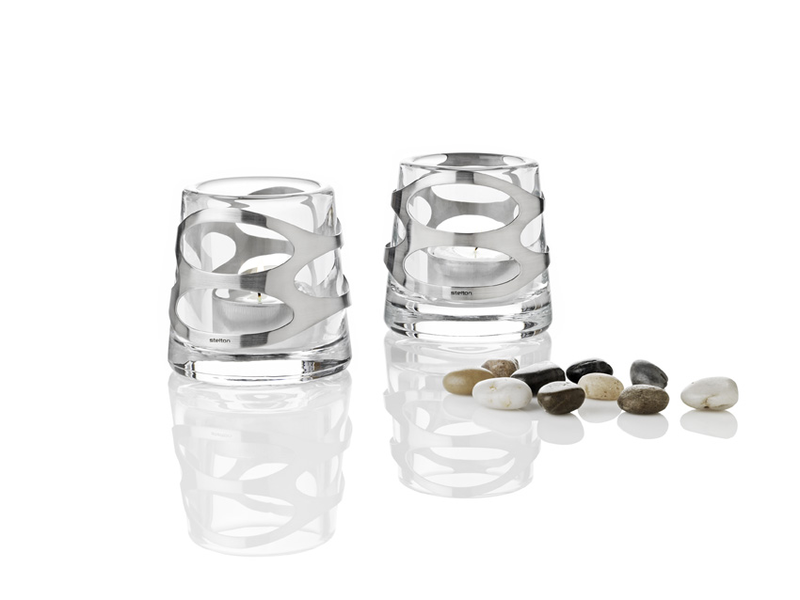 The iittala Fire Votive has a unique, reticulated texture that gives the candle within an ambient glow. For stretching the season out-of-doors, put on a warm sweater, pile some warm blankets on your guests, and get some of these beautiful outdoor options to light your winter adventure under the stars. 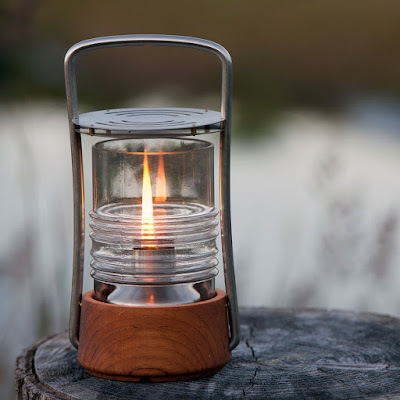 The Skagerak Bollard Oil Lamp has a pleasing shape, slightly drawn in at the middle, and casts its warm light wide with a fresnel pattern glass chimney. The Lighthouse Oil Lamp burns with a bonfire like fire that really lights up the night! 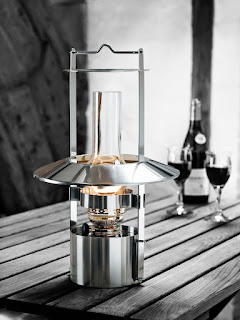 It has a permanent place on our terrace and really lights up an evening gathering. 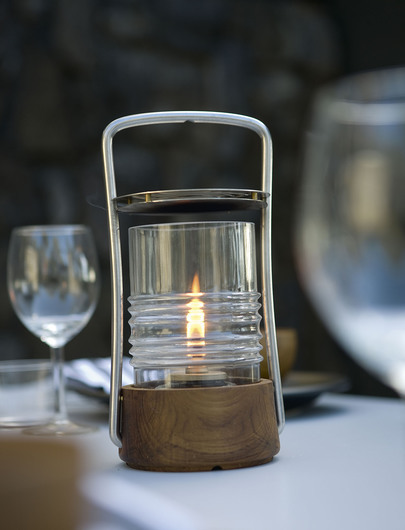 The simple elegance of the Stelton Oil Lamp just begs to be strewn across your lawn, in the snow leading to up the driveway, or along a boat dock at dusk. 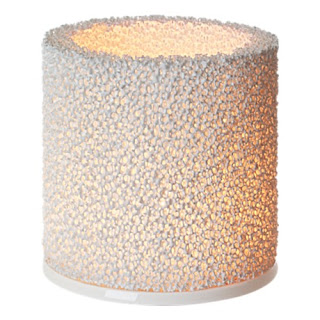 These durable lamps from Denmark serve all year, but look especially lovely making winter a bit brighter. 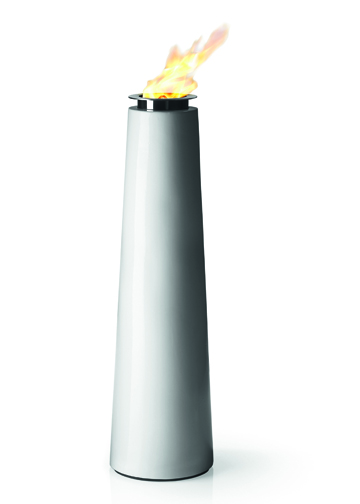 Also made by Stelton is the Ship’s Lamp, a large kerosene lamp that casts a bright, beautiful light from an elegant modern design that updates the traditional ship’s lantern. Hanging from a tree in the summer or nestled in the snow in winter, this Ship’s Lamp lights the night with a wonderfully warm flame. No matter your space, warm lighting makes the long nights full of fun and joy! 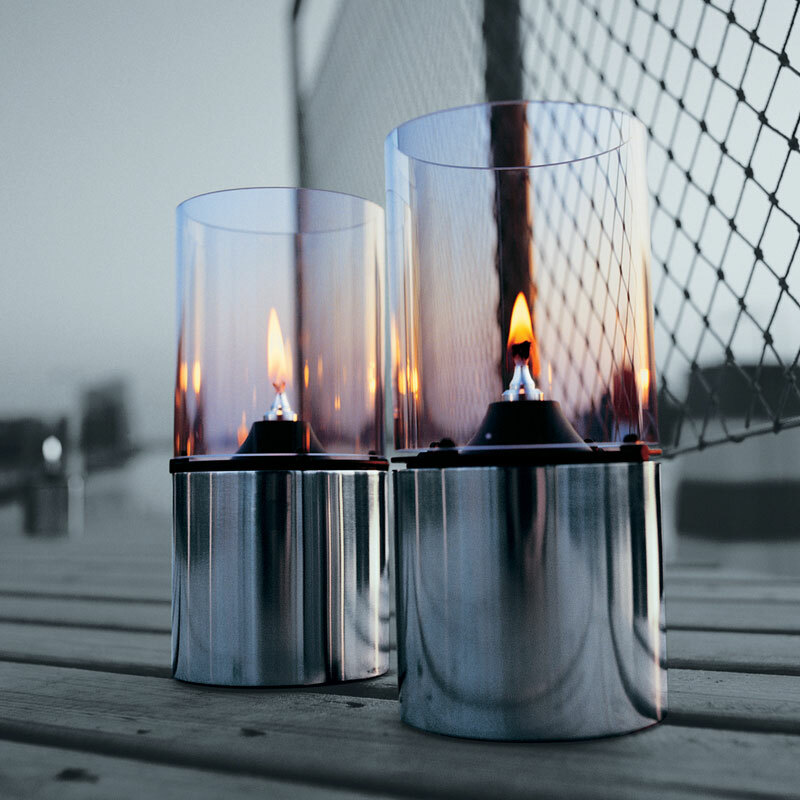 It's time to start thinking about how you are going to light up your autumn -- visit us at Fjorn Scandinavian for help, or at our shop in beautiful Carmel-by-the-Sea in Northern California.